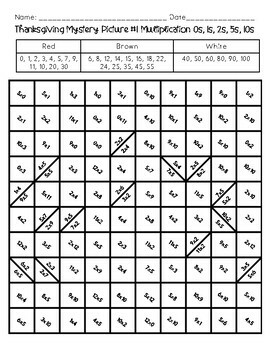 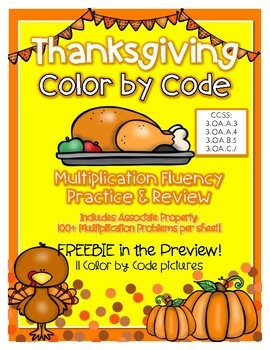 Color by Code Multiplication 100s Chart Thanksgiving Themed Bundle! 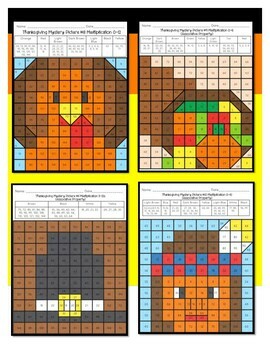 These are great for early finishers, math centers, spiral review, homework, vacation activities, and fluency practice/review. 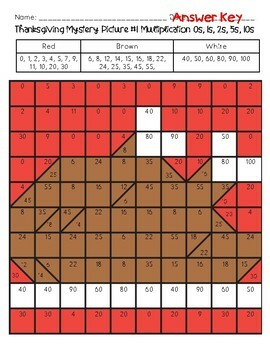 Please download the PREVIEW for a FREEBIE!